As a significant extension of Land of Illusion, this part of virtual constructions aims to unveil criticism on the critical condition of freedom of speech within the Internet culture. The Great Fire Wall in fact refers to both the Great Wall of China and the notorious Golden Shield Project that implements the Internet censorship in China. 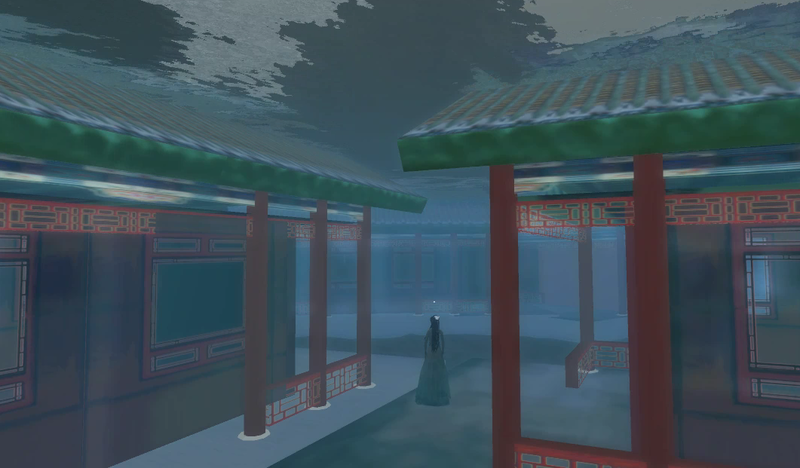 The Underwater City visualizes the cultural phenomena taking place in the Three Gorges Dam area, which threaten not only the thousands years of cultural heritage, but the natural environment, even the survival of the residents. Great Wall is probably one of the most important themes of Chinese folk tales. Legend of Bao Si is an old story teaching a lesson about telling lies, or the obsessive results in loss.On the other hand, Great Firewall of China, or officially entitled “Golden Shield Project” in mainland China, is notorious for implementing Internet censorship with support from western companies. 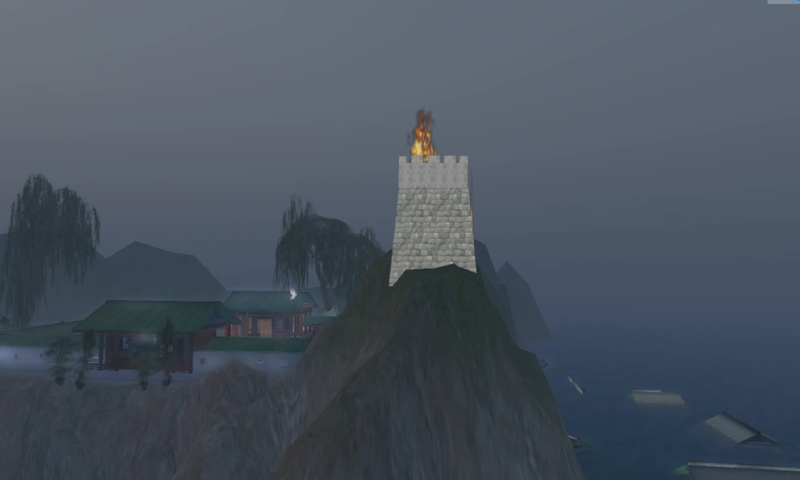 The two historical instances coincidentally obtain a similar vision: burning flames on the Great Wall. 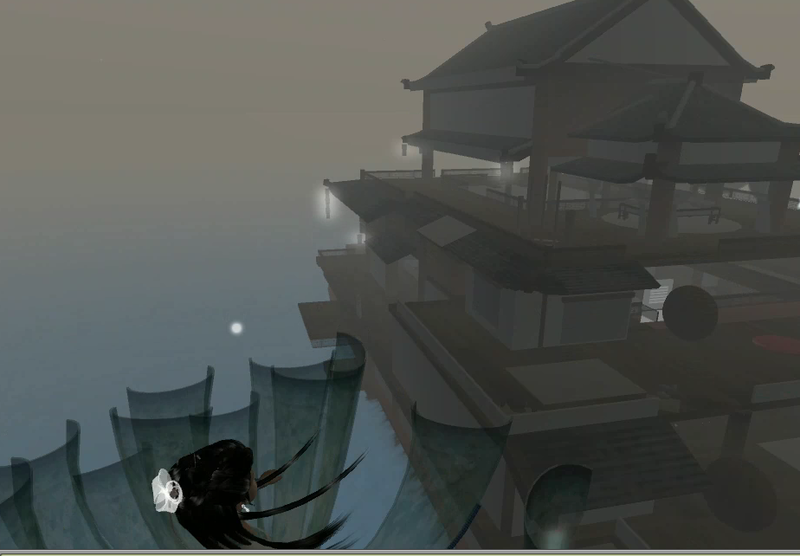 In “Land of Illusion”, Great Firewall virtual construction is located in the western section which is, according to Taoist philosophy, associated with elements “white, metal, autumn” and implies the rise of “yin”, or the force of death. When two layers of meaning become overlapped, an image of turbulent society emerges. Wall & City - Western Section of "Land of Illusion"
Crystal Palace is an underwater city in “Land of Illusion”. In Chinese folk tales, Crystal Palace is Dragon King’s residence, who collects all kinds of lost treasures from wrecks. 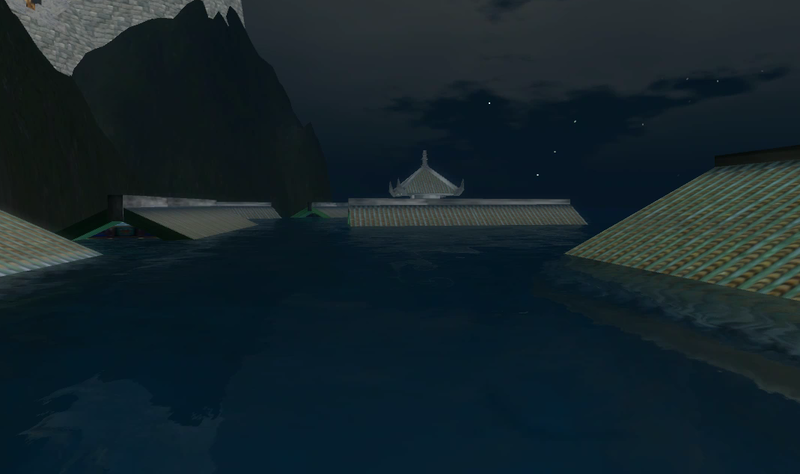 Yet the visual design of the virtual underwater city is largely based on the submerged cultural sites in Three Gorges Dam area. Here, Xi Shi becomes a symbol of sacrifice for political struggle of ruling class. Unsurprisingly, the new combination of cultural symbols reinterprets themes in ancient stories. The medium itself, virtual world, becomes a bridge between traditional, historical materials and Internet culture. It happened in the Western Zhou Dynasty during the reign of fatuous King You. At first, he ruled his state relatively peacefully and prosperously and allied with the neighboring feoffs by using a beacon tower in case of invasion of other ethnic groups. If an incident occurred, he could light the fire on the tower as a signal, and then his allies would come to help. However, everything changed after he asked a small country, Bao, to pay the beauty Bao Si in tribute. After Bao Si, who was extremely charming, moved into his palace, she started missing her parents a lot and never presented a single smile. To please her, the King made her the new queen and gave her plenty of largess, but she kept her long face intact and remained taciturn. 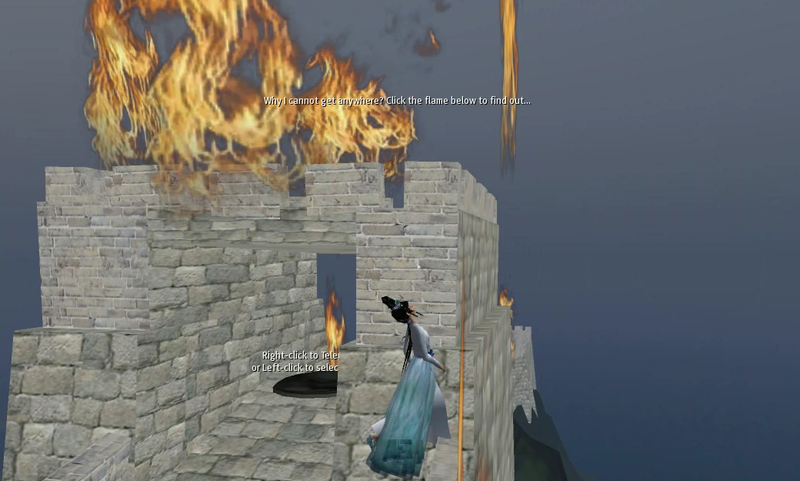 In lack of another solution, a treacherous court official called Guo Shifu suggested lighting the fire on the beacon tower in order to fool the vassals of other states. King You brought his favorite queen to the beacon tower and followed Guo Shifu’s advice. Upon seeing the flame licking the sky, troops of allied feoffs hurried to the tower. To their surprise, they discovered nothing more dangerous than the laughter of King You and Bao Si, so they returned to their feoffs in sulking dismay. Seeing the happy smile of Bao Si, King You delightedly rewarded Guo Shifu with a thousand taels of gold. After that, he and his queen played with the beacon tower several times, and each time, the troops would leave disappointed. One day, the ethnic group ‘Quan Rong’ presented a real threat to the kingdom. The King immediately set the beacon tower on fire, but this time, the troops no longer believed him and never showed up in defence. The King was killed and his queen was captured, thus ending the Western Zhou Dynasty. This story gave birth to the idioms ‘A smile values a thousand taels of gold’ and ‘Misusing beacon tower to tease vassals’.